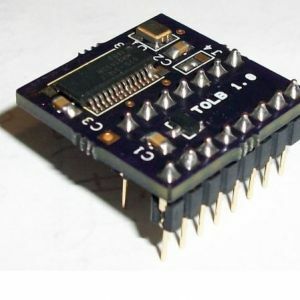 Custom chips and discrete logic as used in the C64. The logic and memory chips will be new / unused, whilst custom chips (SID, VIC, CIA, 6510 etc) will have been harvested from boards and tested. There are many C64 fault finding pages and videos on the net, and I have put up some brief info myself here. Unused, old stock (not soldered) chips in good condition. Incorrect, random or flickering colour attributes on power up. Common symptoms when faulty: Colour problems such as random colour “chequerboard” pattern on screen or no colour. Tested and removed from a socket - chip has not been soldered. When these chips fail, common symptoms can be: Blank screen, No border, Cartridge doesnt work, Certain programs lock up. 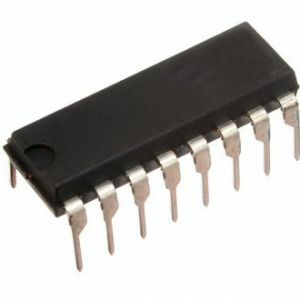 Desoldered chip with cleaned and straightened pins. Tested in a working PCB. 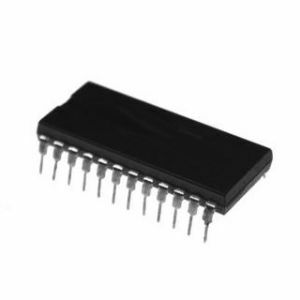 If out of stock, check if I have the 8500 version (scroll down) as these will also work fine the breadbin. 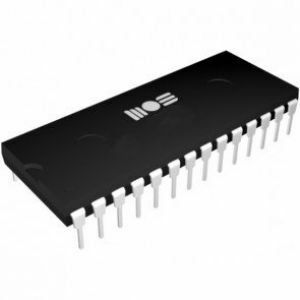 Tested and removed from an IC socket - chip has not been soldered. 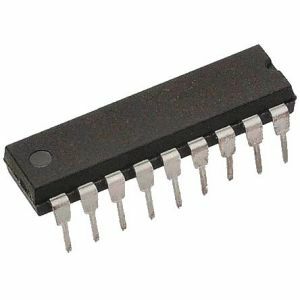 If your board has socketed chips, a simple way to test the 6526 CIA chips is to swap over U1 and U2 (they're both the same IC). If the fault appears to go away or at least changes, you know one CIA is bad. 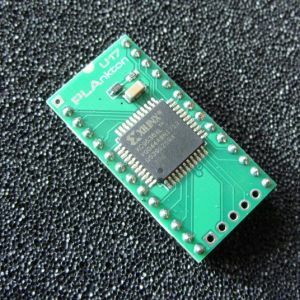 If the keyboard and joystick work then you can be pretty certain the CIA in U1 is OK.
Chip has been carefully de-soldered from a bad C64 PCB, its pins cleaned and then pressed into a new high-quality "turned-pin" type chip carrier which can be soldered directly to a PCB or pressed into a normal PCB-mounted DIL socket. 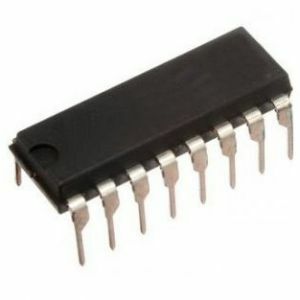 Removed from a socket - chip has not been soldered. Tested by playing tunes from the "High Voltage SID Collection" for an hour, all played fine. 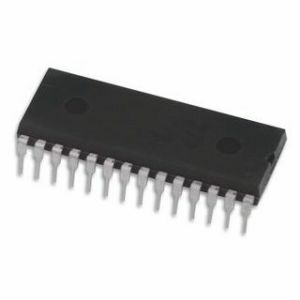 A note about the filter response on SID chips: Every SID chip is different - this was always the case due to limitations in NMOS chip manufacturing back in the day. 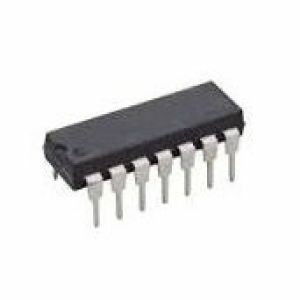 The type of capacitors on the PCB can also have an effect. This may or may not be an issue for buyers (many programs avoided using the filter due to its unreliable nature) but to aid those looking for a specific type I categorize the SID Chips I sell into light, medium and heavy filter types. Note that these are approximate, subjective bands - in reality, SID filters have a spectrum of effect strengths. Common symptoms when faulty: Blank screen. Partial failure: Drive access problems: Drive resets but “device not present” error when accessed. Common symptoms when faulty: Normal startup border but screen full (or nearly) of garbage characters. Common symptoms when faulty: Blank screen. Located within the VIC-II shielded area on earlier C64 boards. Common symptoms when faulty: Blank screen, less than 38911 bytes free at startup or “garbage” screen. Common symptoms when faulty: Screen startup has normal border, but characters are scrambled. Startup screen shows normal characters in multicolored "rainbow"
As used mainly in the C64C but work fine in 'Breadbin' C64's too. Important: For C64C only (UK / European PAL version) - Not for breadbin C64. Extracted from a socket, has not been soldered. 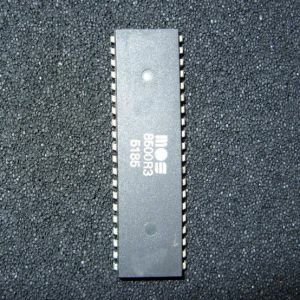 As found in later model breadbin C64s and the C64C near the VIC-II chip for system timing. Has been desoldered and tested afterwards in a working boards - all bytes verfied OK. 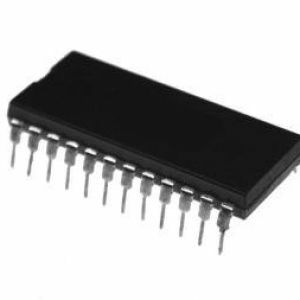 Supplied pressed into a high quality "turned-pin style 24 pin socket" acting as a "piggyback" chip carrier. 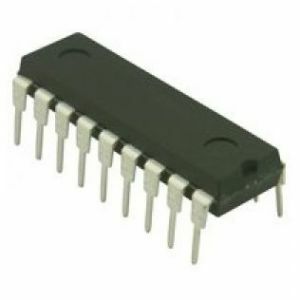 (This means that only new, perfectly straight pins go into the existing socket on the PCB - it can of course be soldered in place if preferred). 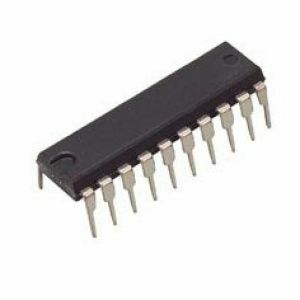 Tested and removed from an IC socket - has not been soldered. Common symptoms when faulty: Blank screen, computer will not reset or RESTORE key doesn’t work. Removed from a socket - has not been soldered. 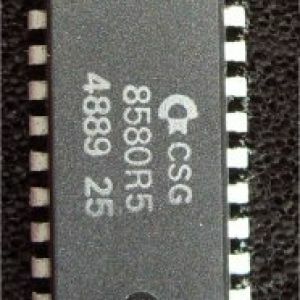 This item is a desoldered chip - the pins have been cleaned and straightened. Tested continuously for an hour: Working fine. 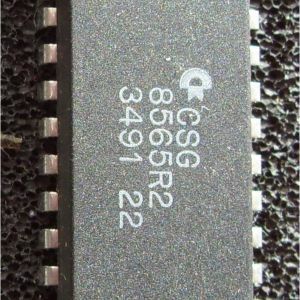 When replacing a C64 PLA, ideally use the same version as originally fitted. 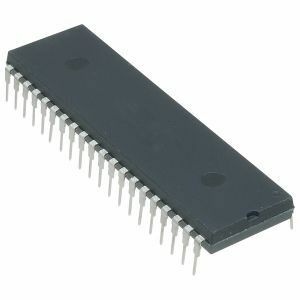 Although they are all pin-compatible and perform the same job (logically) there are small timing differences which CBM accounted for in the 64's PCB. 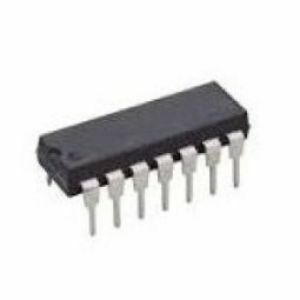 The PLA marked 251064-01 has the same characteristics as 906114-01. Other versions of the PLA are listed below. Runs cool and draws a fraction of the current of the original chip. 2000+ units sold, and not a single defect or compatibility issue has been found.